Kerala PSC will conduct HSST Junior English exam in February 2018. 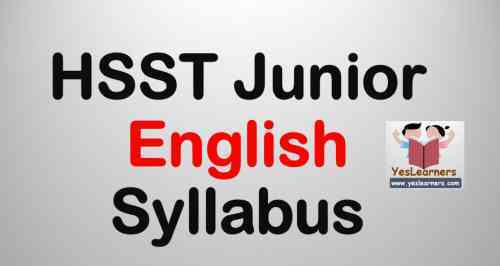 The following is the detailed syllabus of HSST Junior English exam 2018. • John Donne Forbidding "The Canonization" , " A Valediction :Mourning"
• John Dryden "Mac Flecknoe"
1. 'William Blake "The Lamb" , "The Tiger"
2. William Wordsworth "Ode: Intimations of Immortality"
3. Samuel Coleridge "Dejection : An Ode "
4. P. B. Shelly "Ode to the West Wind"
5. John Keats "Ode on a Grecian Urn "
7. Robert Browning "My Last Duchess"
8. Mathew Arnold "Dover Beach"
10. D. G. Rossetti " The Blessed Damozel"
1. Charles Lamb "Dream Children", " Poor Relations"
1. W. B. Yeats " Easter 1916", " Second Coming"
3. W.H Auden "Unknown Citizen"
4. Wilfred Owen "Strange Meetings"
5. Dylan Thomas "Poem In October"
6. Philip Larkin "Church Going"
7. Ted Hughes "Hawk Roosting"
8. Thorn Gunn "In Santa Maria Del Popolo"
9. Seamus Heaney "The Tollund Man Prose Virginia Woolf "Modern Fiction"
1. Theories of "Rasa", Dhwani" and "Alankara"
3. Longinus "On the Sublime"
4. Sidney "An Apology for Poetry"
5. Dryden "Preface to the Fables"
7. Wordsworth "Preface to the Lyrical Ballads"
9. Arnold "Study of Poetry"
10. T.S. Eliot "Tradition and Individual Talent"
11. Cleanth Brooks "The Language of Paradox"
12. Northrop Frye "Archetypes of Literature"
13. Lionel Trilling "Freud and Literature"
14. Viktor Shklovsky "Art as Technique"
15. Raymond Williams "Realism and the Contemporary Novel"
16. Jacques Derrida ''Structure, Sign and Play in the Discourses of Human Sciences"
17. Elaine Showalter "Towards a Feminist Poetics"
18. Michel Foucault "What's an Author"
19. Jacques Lacan "The Insistence of the Letter of the Consciousness"
3. Middle English - The Norman Conquest - Dialects, Changes in Grammar and Vocabulary - Standard English - Literature of the period. Salient features of the Constitution - Preamble- Its significance and its place in the interpretation of the Constitution. 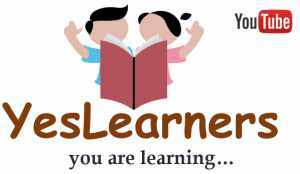 Fundamental Rights - Directive Principles of State Policy - Relation between Fundamental Rights and Directive Principles - Fundamental Duties. Executive - Legislature - Judiciary - Both at Union and State Level. - Other Constitutional Authorities. Centre-State Relations - Legislative - Administrative and Financial. Services under the Union and the States. Emergency Provisions. Amendment Provisions of the Constitution.